Everyone likes Pizza. It is a universal fact. There is not a single soul in the world who does not like Pizza. 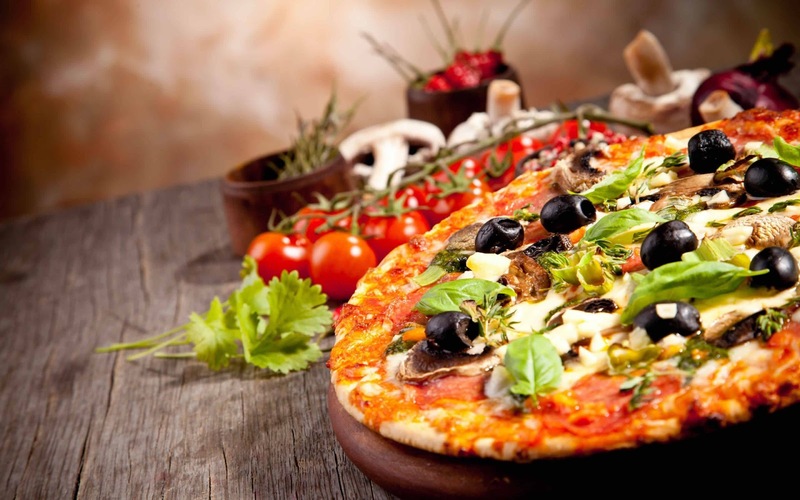 When it comes to pizzas, there are a massive plethora of different options, styles and variations out there! Countless add–ons, permutations and combinations that you can have. There is Veg styled pizzas as well as Non–Veg pizzas. But we know you are used to the common styles out there. There is the Neapolitan style pizza, the Sicilian preparation, the New Yorker style, the Deep Dish, Barbeque, or even the Philly Style pizza. And let us not forget the classic Margarita! But these are boring now. Do you want to know different ways to prepare a pizza? A very unique way to make one which will blow all your friends away? Then here is a list of 5 superb ways you can prepare a pizza which is fresh, new and innovative above all! Let the Pizza Mania Begin! Follow this and be the best pizza chef in your neighbourhood! Hey all, today I am reviewing a website called IGP Indian Gifts Portal - One of the best online gifting stores for cakes, flowers and gifts. IGP.com is one of the largest online gifting company having flowers, cakes and unique gifts which can be personalized for gifting. They have wide range of collection in every category. Can my CAT preparation help me crack MAT? Can I Score in MAT with CAT Preparation? India is a multicultural country. With different regions and heritages present in India, there are many cuisines which have been born as natives to those specific regions. Be it the Litti Chokha from Bihar or the thick noodle dish known as Thukpa and momos from Sikkim, there is a huge diversity when it comes to regional dishes and cuisines. With so many palates to choose from, it would not be wrong to say that India is a country of foodies. With the use of a variety of spices, the cuisines gain their distinct taste as well as character. One of the most popular cuisines out of the lot will be Punjabi food. So here are ten of the best places to try the lip smacking taste of the Punjabi Cuisine. 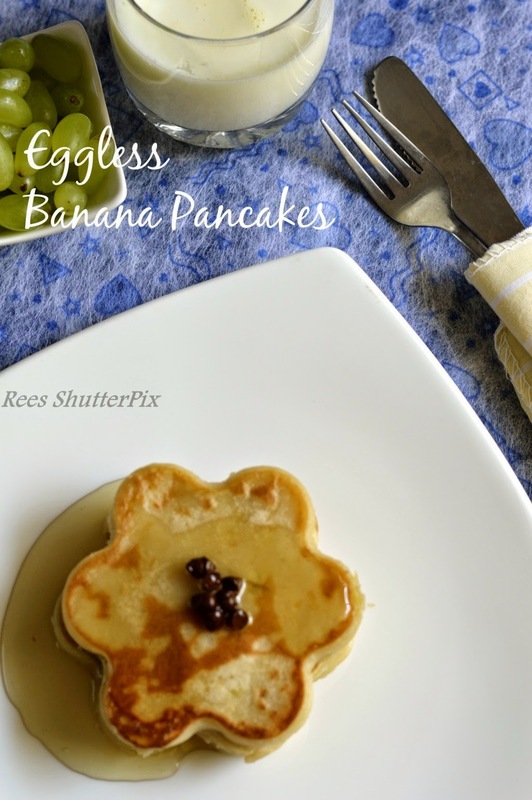 Eggless Banana Pancakes Recipe | How to make soft and fluffy eggless pancakes? The new year has been keeping me lazy or might be too many holidays to have fun...yet to get back to blogging. Been roaming and enjoying shopping online!!! I keep singing to my baby the age old saying ” An Apple a day keeps the Doctor away” as I feed him the apple puree while he blinks and opens his mouth to my voice tone and facial expressions. Sweet apples make a great first food for the baby after rice cereal as they are nutritional rich and less allergic. Steamed apple purees are yummy and light on their little tummy. Apple can be introduced by 4-6 months as they are less prone to allergies but I would suggest you to wait till 6 months if you are breastfeeding and have a good supply. Experts suggest to wait till 6 months to begin with pureed baby foods or solids as the risk of allergies may increase if the baby’s first foods are introduced too soon.Each baby is different and each baby responds differently to tastes and foods so keep a check on the baby after introducing new food like how they pass poop after the new food consumption and if any skin allergies are seen. Apples contain two types of fiber, insoluble and soluble. These fibers help to maintain the bowel regularity as the insoluble fiber works like a roughage while the soluble pectin fiber firms up the stool avoiding diarrhea or constipation. Broccoli attracts me so much that I always end up picking one in my vegetable shopping though my DH doesn't like much. He likes to have only Broccoli Lollipop. 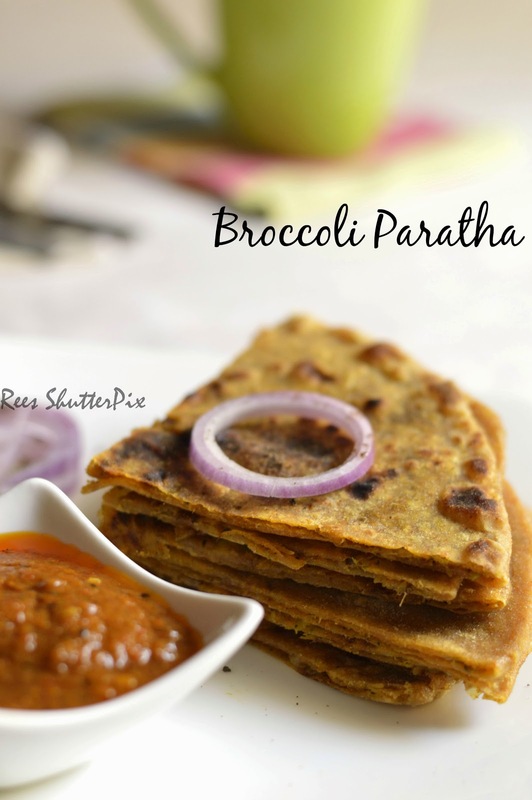 Broccoli paratha is so soft and flavoured that I could not click photos and was tempted to eat them immediately. I stopped clicking after a few angles and sat down to eat. They were so soft and delicious!!! Experts suggests babies to be exclusively breast fed for 6 months after which you can start weaning off your baby. Some parents prefer to start giving semi solid foods from 4-6 months period due to less milk supply and other reasons. The transition from breastfeeding to bottle feeding is difficult for baby to adjust. The transition should be slow and gradual giving the baby comfort and time. Weaning bottles with spoon makes the process smooth as from purees to semi solid vegetable cereal can be given with it easily. Choosing the right weaning bottle is very important for baby to adapt and start taking food.Weaning bottles should be of good quality, comfortable to hold, free flowing of semi solids, easy to clean and sterilize. Weaning bottles are very handy during the first stage of baby weaning with semi solid foods. Who doesn’t love books? Babies do love books!!! My love for books made me start collecting best books for my baby when I was pregnant. It took around two months for me to recover and spend some reading time with my baby. I didn’t understand if he liked what I was reading to him with actions. But the books soothed my crying baby and around six months I found he loved to see the attractive colorful pages over and over again. Then on my starter library collection for him was growing and I slowly picked up cues on what kind of books he loved. Sharing the best board books we found and loved reading through. I got this salad idea of using mayonnaise with cucumber from eHow and ever since I make this often to have as a quick filling and refreshing salad after workouts. The recipe is good when refrigerated for a minimum of 2 hours. My son is one year old now, but I have already started looking for the best school so accordingly I have to plan where to shift and how easy will be the transport from home to school for him. There are many factors to select the best school or colleges. Shortlisting schools or universities based on those factors for the best education is not easy when going on to each college to evaluate. Parents have a never ending role when it comes to our children. From schools to colleges, parents want their children to study in the best of bests. Our guest writer, Rohit from Trans India Travels shares his delectable tale about street foods in Hyderabad. Planning to book my tickets to Hyderabad just to relish these....! There is something amazing about enjoying a plate of Chaat (a type of spicy snack) or Break Pakodas (fried bread snack) from the roadside stalls and local eateries. No high-end restaurant can match up to the taste of the snacks and desserts offered by street-side eateries. These local food joints form an integral part of the local culture and essence of a place. The street food of Hyderabad lives up to the city’s repute of being a food-lover’s paradise. The local eateries and places mentioned here are sure to tantalise your taste buds and make you ask for a second plateful. When you first hear a mom say, " I am cloth diapering my boy!". What you think might be thin, soft cotton clothes tied like those in olden days and wonder how good it is on the long run. Modern cloth diapering is much more practical, comfortable, fashionable and friendly to the mother nature than the disposable. Read more about Cloth Diapering. I am a proud mom to have been cloth diapering my baby, knowing its benefits for my baby and the nature. Not many brands are available in the Indian market but small online retailers around try to bring the best of brands to the Indian market through their sites and Facebook page.